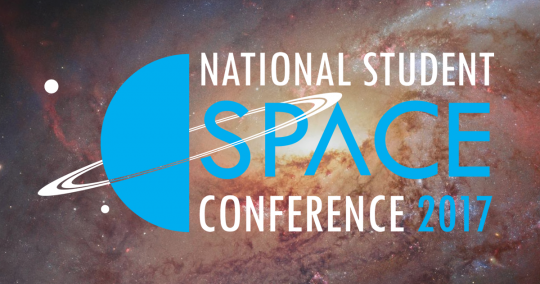 UKSEDS’ National Student Space Conference is the premier event for students interested in space, uniting them with academics and professionals from across the country to network, share knowledge, and discuss the challenges facing the sector. It features talks by leading space science and industry figures, a careers fair, and opportunities to take part in discussions and networking events. Recent past speakers include the CEO of the UK Space Agency, the Managing Director of Reaction Engines, and ESA astronauts Paolo Nespoli and Tim Peake. NSSC 2017 will be held on 4 & 5 March at the University of Exeter. More details can be found on the NSSC minisite. Enquiries about the conference should be addressed to [email protected]. Your ticket grants you access to the conference and includes lunch. Please don’t book for groups – each attendee should register individually. If you have questions about the conference, please email [email protected]. If you have any payment issues, please email [email protected]. It is traditional for us to hold an informal social event after the first day of the Conference. It’s a chance for you to relax and have a good time. From 7pm on Saturday you’ll be able to enjoy a tasty meal and mingle with other delegates. This year’s venue is Pieminister on the University of Exeter campus, just round the corner from the main conference venue. There are no tickets, just turn up and buy whatever you like. The three pies on offer are the ‘Moo’ (steak and ale), ‘Free Ranger’ (chicken, ham, and leek) and the ‘Heidi’ (goat’s cheese and spinach), all of which come with mash and gravy. You can find more details on the Pieminister website. Purchase of a conference ticket does not make you a member of UKSEDS. If you wish to stand for election or vote at the Annual General Meeting, you must register for membership separately, if you haven’t already. Contact [email protected] if you have queries about membership. If you paid for membership less than a year ago, you are eligible for a free conference ticket. Contact [email protected] for a discount code.